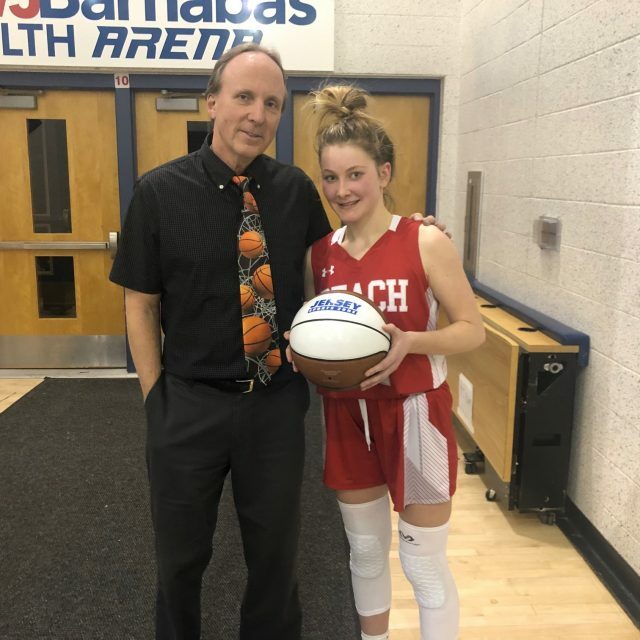 Point Beach's Carleigh Burns Wins JSZ Central Game Ball! Point Pleasant Beach's Carleigh Burns took home the Girls Central Jersey Game Ball for her performance during the game against Keyport last week. She scored 22 points, leading her team to a 67-52 victory. Burns averages 16 points per game, and has 752 career points! Congratulations, Carleigh! 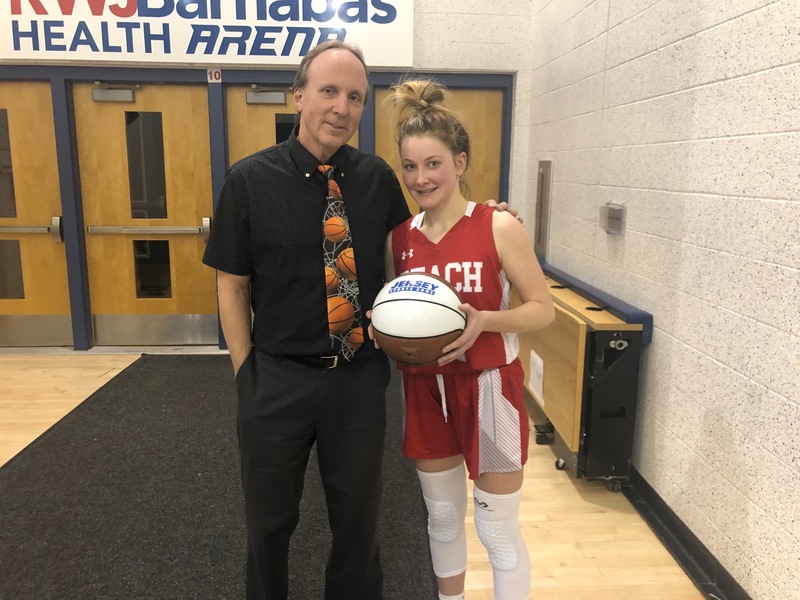 Point Beach’s Carleigh Burns Wins JSZ Central Game Ball! 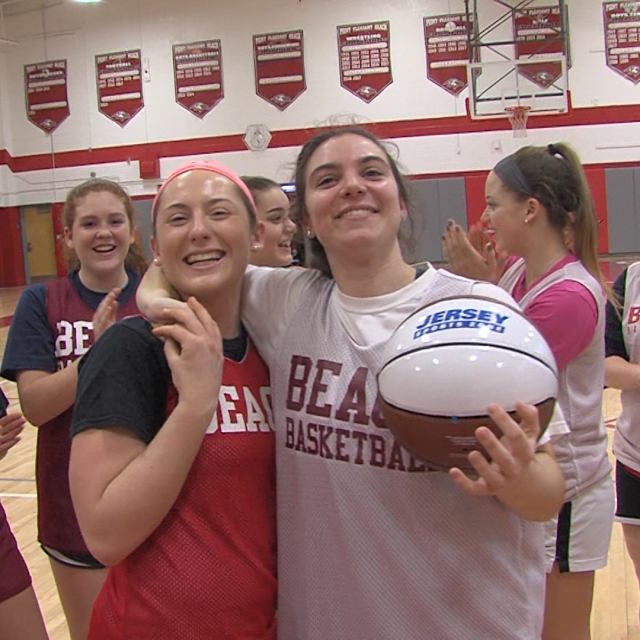 Point Pleasant Beach’s Carleigh Burns took home the Girls Central Jersey Game Ball for her performance during the game against Keyport last week. She scored 22 points, leading her team to a 67-52 victory. Burns averages 16 points per game, and has 752 career points! Congratulations, Carleigh! 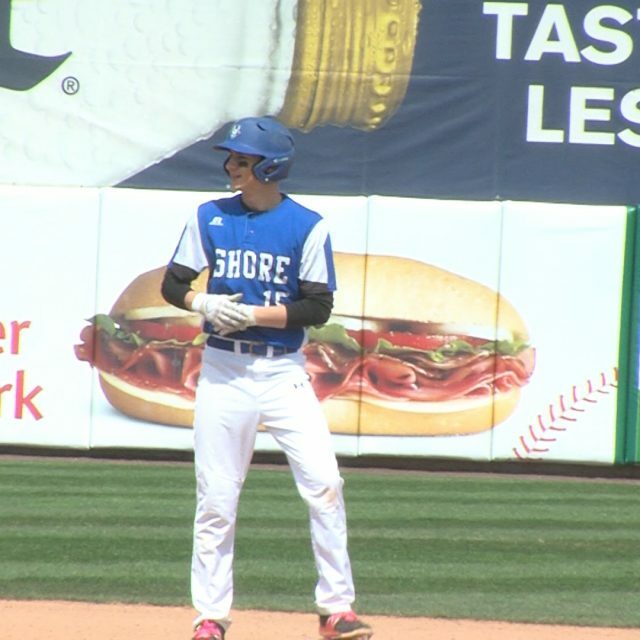 With much of the state snowed out, the Shore Conference Tournament was able to play part of its first-round schedule. 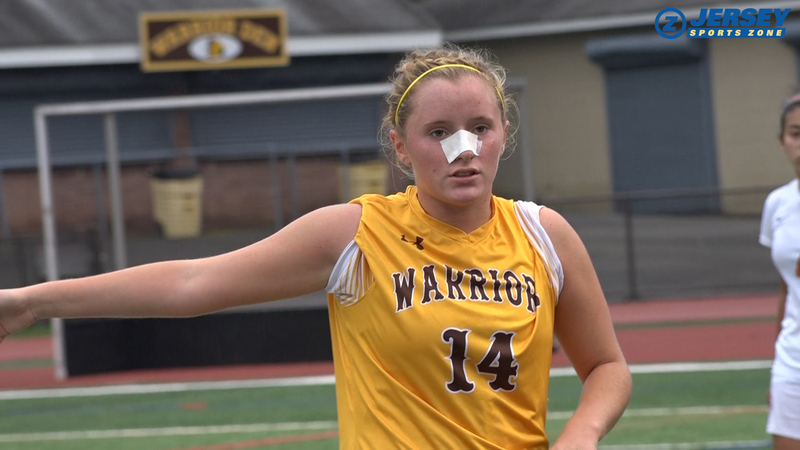 JSZ brings you four games from Monmouth and Ocean counties. Jay Cook has the battle of Brick on the boys side. We’ve also got Jenna Paul stepping up big once again for TRN, a 1,000 point milestone for RBR’s Meghan Murray and a Middletown South home win. Watch all the action! 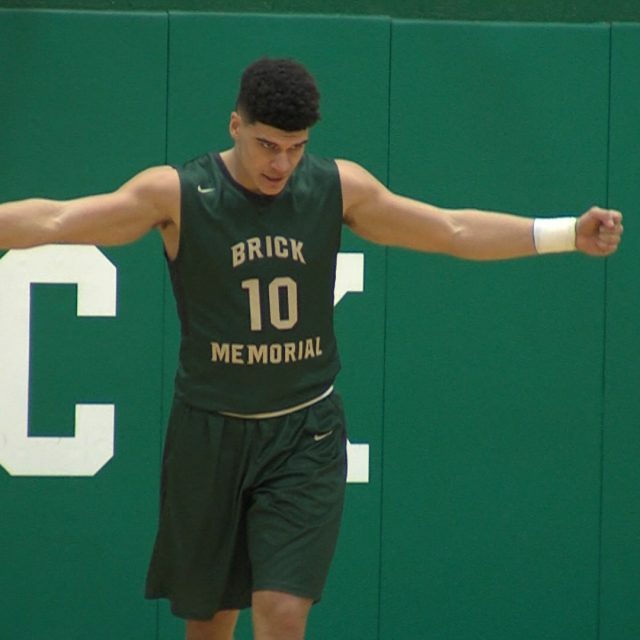 (20) Brick Memorial 66 (13) Brick 59 – SCT Boys First Round The combination of Matt Bernstein (25 points & 13 rebounds) and Kyle McMahon (24 points) proved to be too much for Brick to handle as Brick Memorial opened their Shore Conference Tournament run with an upset win. Brick Township’s Shane Williams scored a game-high 26 points for the Dragons in the loss. 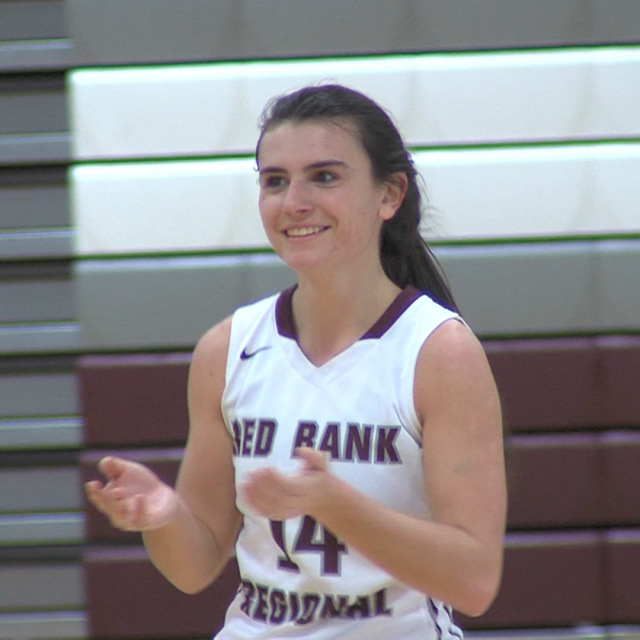 JSZ’s Jay Cook has the highlights and more: (12) Red Bank Regional 51 (21) Southern Regional 44 – SCT Girls First Round Chloe Teter hit the go-ahead layup with 2:09 to go to spark a 9-0 run to close out the game as the Bucs move on to the second round a matchup with #5 seed Red Bank Catholic. Meghan Murray led the Bucs with 18 points including her 1000th career point and Teter added 17. 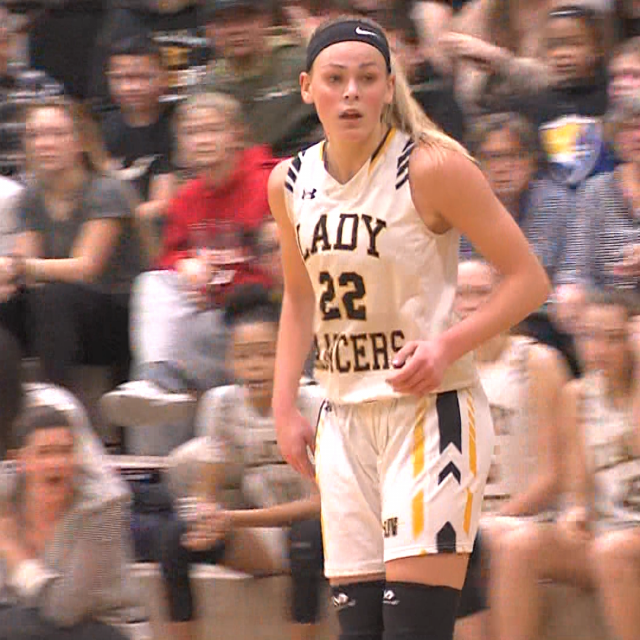 JSZ has the highlights and post-game reaction from Little Silver: Thanks to Ryser’s Landscape Supply for sponsoring JSZ’s coverage of Red Bank Regional – Ryser’s is the reason we were able to bring you this great moment from the Lady Bucs! (8) Middletown South 56 (25) Barnegat 30 – SCT Girls First Round Eighth seed Middletown South advanced to the second round of the Shore Conference Tournament after a 56-30 win over Barnegat. The Eagles got things started early with the three point shot as they connected four times from beyond the arc to lead 20-2 after the first. South was led by Kayla Richardson, who scored 18 points, Isla Brennan had 13 points and Sam Keenan finished with 8 points and 4 rebounds, all would connect from three more than once. JSZ’s Nery Rodriguez has the highlights: Sponsor! Thank you to Monmouth Building Center for sponsoring our Middletown South coverage! (9) Toms River North 79 (24) Point Pleasant Beach 46 – SCT Girls Opening Round No. 9 seed Toms River North took on 24-seed Point Pleasant Beach on Tuesday night for the First Round of the Shore Conference Tournament. 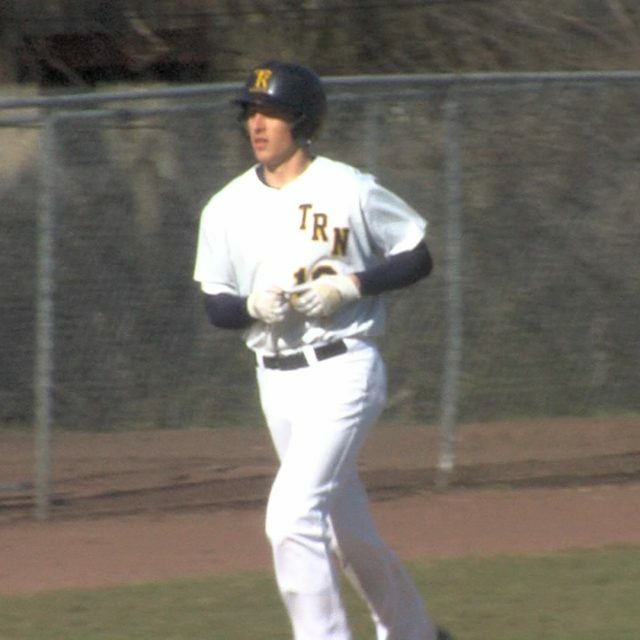 The Toms River North Mariners dribbled into this game with a 17-4 overall record, and the Point Beach Gulls came in at 16-5. 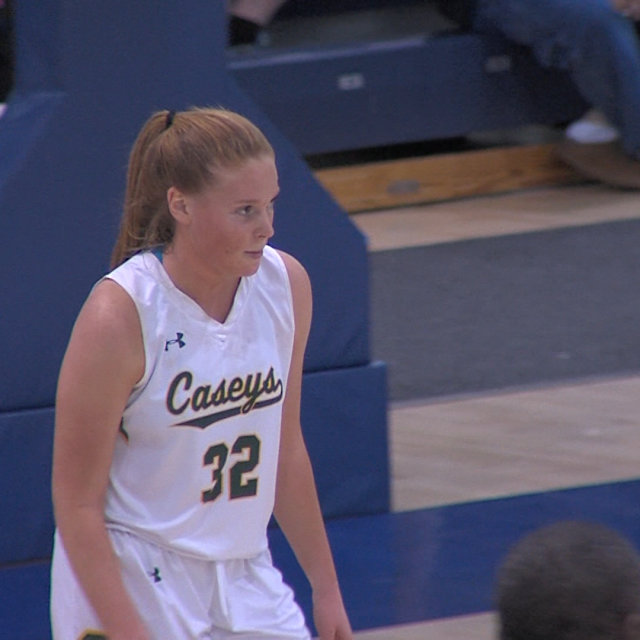 North’s Colgate commit, Jenna Paul, led the way, scoring the game-high and her season-high of 34 points. Kristina Johnson scored the second highest number of points with 18. Brielle Bisogno also scored in the double digits with 16. 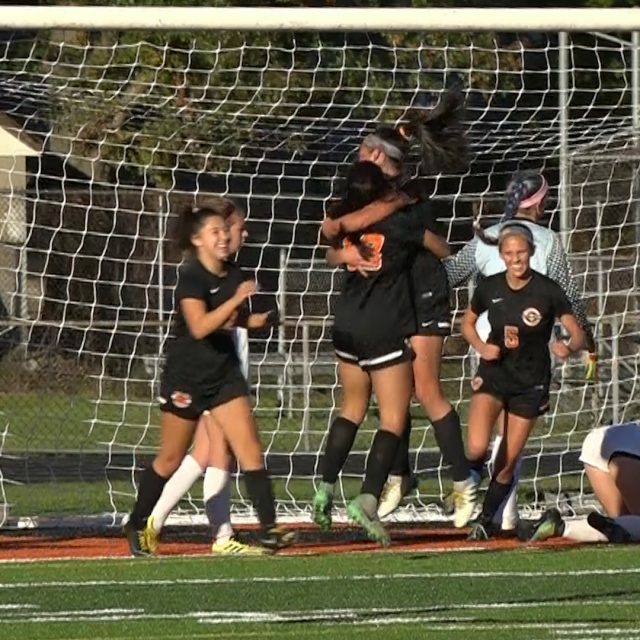 The Mariners advanced to the Second Round on Thursday, and will take on Middletown South. 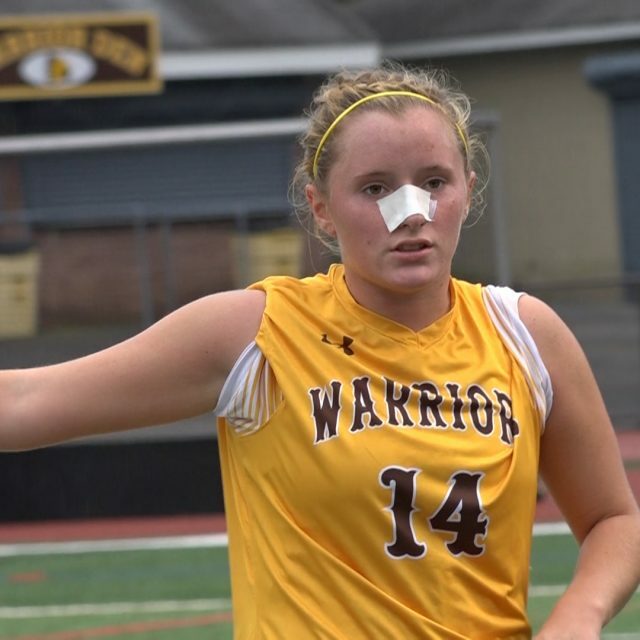 JSZ’s Madison Bess has the highlights from Toms River: Sponsor! Thank you to CJA Construction for sponsoring our Toms River North coverage! Sponsor! Thank you to PEAK Coaching For Success for sponsoring our Point Pleasant Beach Coverage! It’s title time! The wrestling state sectionals are the first big tournament of the winter season and great teams always deliver. 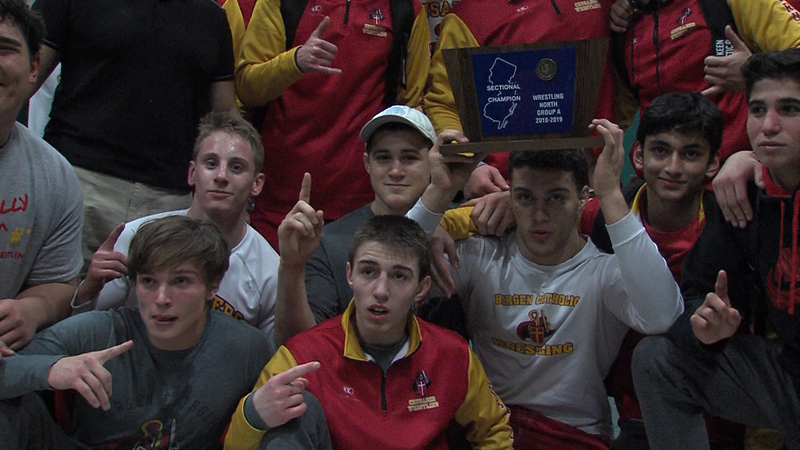 JSZ has highlights from three sectional championship matches around the state – Bergen Catholic vs. Delbarton, Phillipsburg vs. North Hunterdon and Point Beach vs. Shore Regional. Stay tuned throughout the night for all of our wrestling coverage! #2 Bergen Catholic 48 vs. #1 Delbarton 17 – North Non-Public A Final While Bergen Catholic still got wins from its nationally-ranked 182 and 195 pounders, it was heavyweight John High and 106-pounder Joe Cangro who were the heroes Friday night. 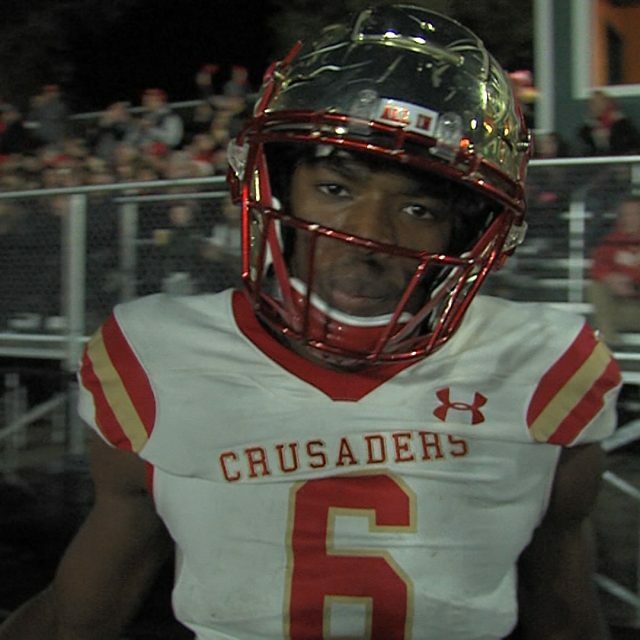 They notched back-to-back pins to spark six-straight wins for the Crusaders as Bergen Catholic went on to win its eight-straight sectional championship. JSZ’s Jay Cook has the highlights from Morristown: Shore Regional 45 Point Pleasant Beach 19 – Central Jersey Group 1 Final The Blue Devils busted open a 17-10 lead with back to back pins from Jamie Mazzacco and Brendon Denovaes at 182 and 190 pounds to seal an historic first ever sectional championship in front of a raucous crowd in West Long Branch. Sophomore Jack Maida’s pin at 106 clinched the title and a trip to Toms River this Sunday where Shore will face Kittatinny in the Group 1 state semifinals. 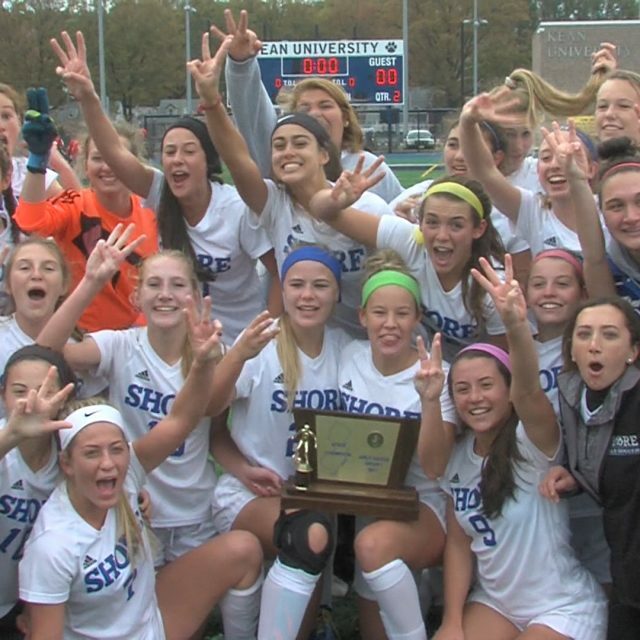 JSZ has the highlights and post-match reaction from Shore’s special win: Jersey Sports Zone’s coverage of Point Pleasant Beach is brought to you by Peak Coaching for Success – they are the reason we were able to bring you highlights of Shore and the Garnet Gulls! 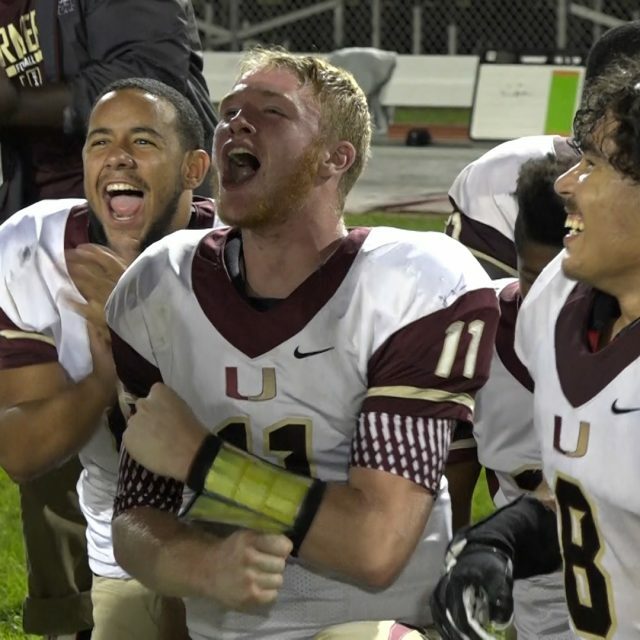 Phillipsburg 28 North Hunterdon 19 – North Jersey 2 Group 4 Final The Phillipsburg Stateliners won their 38th Sectional Title, and 6th in a row, against the North Hunterdon Lions on Friday night. The Stateliners won eight bouts, leading from the very beginning of the match. #1 Phillipsburg will take on #4 Wayne Valley at 11:30am on Sunday for the Group 4 Semifinals in Toms River. 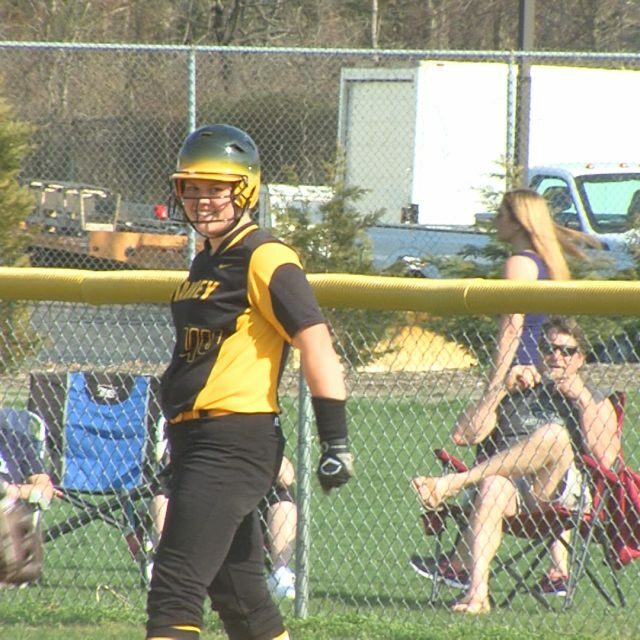 JSZ’s Madison Bess has the highlights from Phillipsburg: Sponsor! Jersey Sports Zone’s coverage of Phillipsburg is made possible by The Garnet Booster Club of Phillipsburg High School! Make it seven years in a row for Point Boro. The Panthers continued their dual-meet dominance over crosstown rival Point Beach Friday night with a 41-26 win before a sold-out crowd at Memorial Middle School. Point Boro got six-point efforts from Billy Borowsky, Charles Latendorf, Nick Torre, Jack Bailey, Ty Bailey and Spencer Robinson to drive the win. 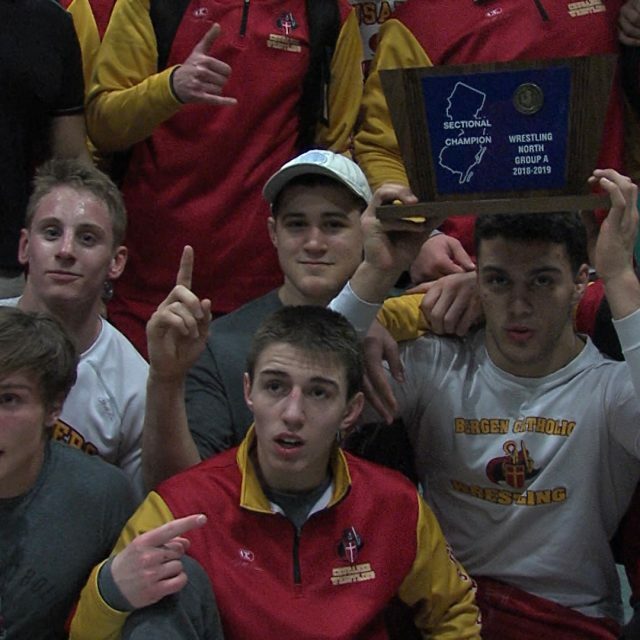 JSZ’s Jay Cook has the highlights from an electric atmosphere in Point Pleasant: Match Results Point Pleasant Boro 41 Point Pleasant Beach 26 195: Liam Buday (Beach) d. Scott Franceschini 5-3 SV 220: Josh Henderson (Boro) d. Noah Ramos 2-1 2OT Hwt: Billy Borowsky (Boro) p. Connor Smith 106: Charles Latendorf (Boro) p. Michael Storino 113: Nick Torre (Boro) p. Jonah Bowers 120: Kip Lovgren (Beach) d. James Latendorf 2-0 126: Riley Simon (Beach) p. Lucas Sabo 132: Jesse Bowers (Beach) tf. 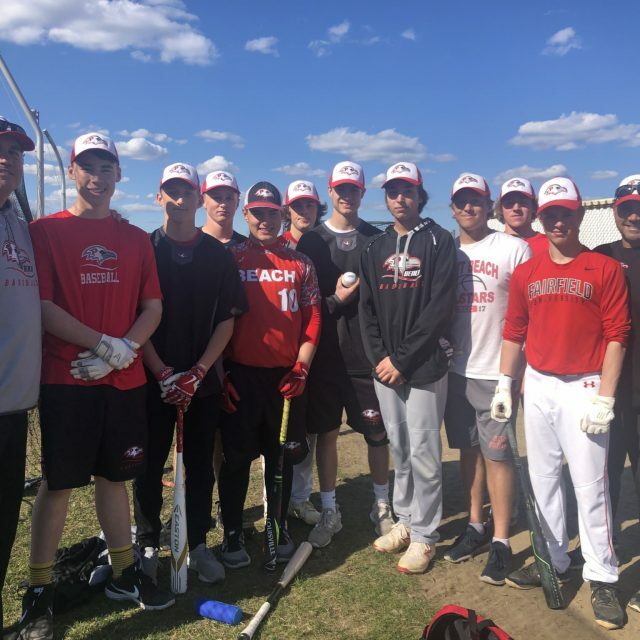 Peter Karras 19-4 138: Jack Bailey (Boro) p. Macky Liotta 145: Ty Bailey (Boro) p. Anthony Luongo 152: Spencer Robinson (Boro) p. Lance White 160: Paul Franceschini (Boro) d. Jason Schulz 4-3 170: George Kaiafas (Beach) md. Andrew Witkowski 14-5 182: Jason Sherlock (Beach) p. Patrick Frawley Sponsor Alert! 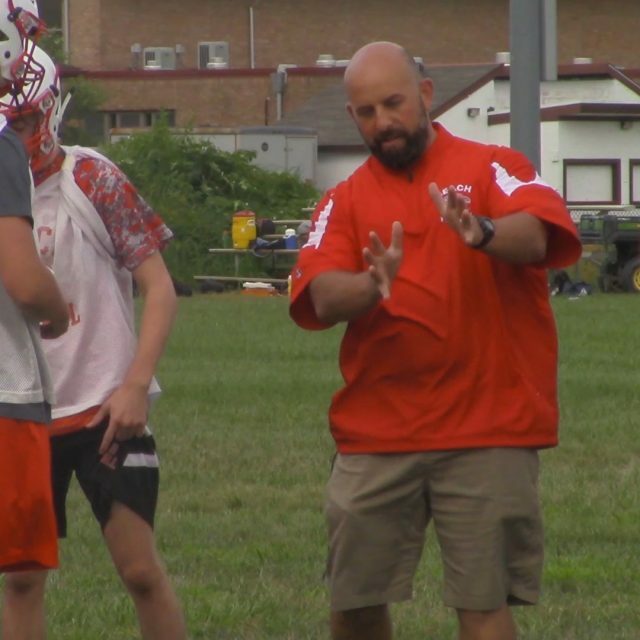 Jersey Sports Zone was able to be on-hand to capture this wild crosstown rivalry thanks to our Point Pleasant Beach sponsor, Peak – Coaching For Success! 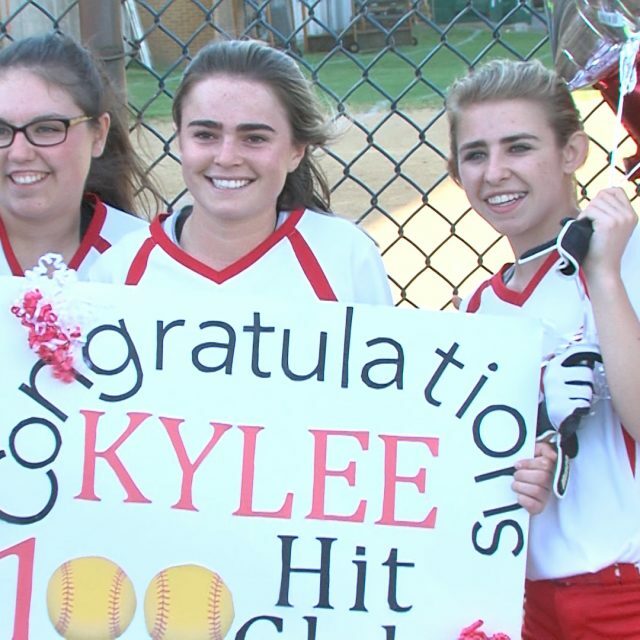 Point Pleasant Beach 13 Mater Dei Prep 0 (5 innings) – Shore Conference Kylee Kells had two hits and three RBI’s to reach 100 career hits and threw a complete game 2-hitter with nine strikeouts to lead Point Pleasant Beach to a dominating win on the road. Point Pleasant Beach is now 12-2 on the season thanks to a four-run first inning and a five-run frame in the fourth. 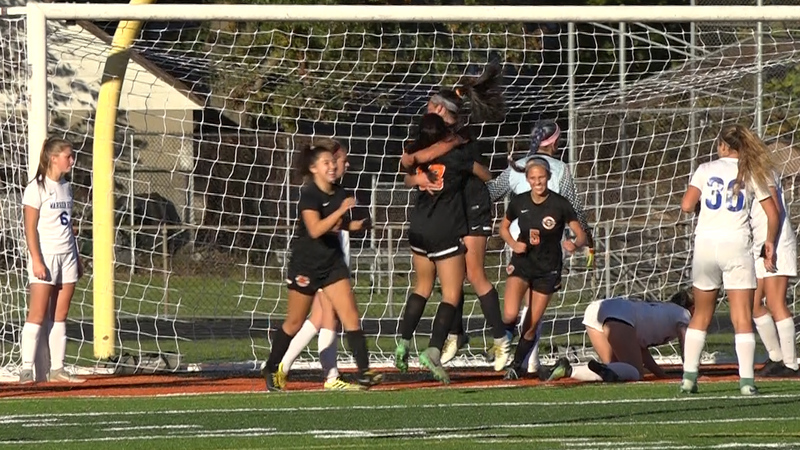 JSZ has highlights of the Garnet Gulls win in Middletown: Double Game Ball Ceremony! Following the game, JSZ had a pair of Game Ball ceremonies. Kylee Kells of Point Pleasant Beach and Mater Dei Prep’s Gina Giaramata won Monmouth Building Center Game Balls from earlier in the season. Watch two great presentations! Monmouth Building Center in Shrewsbury has been honoring Shore Conference athletes for the past four years. Thanks to the team at Monmouth Building Center for giving us the chance to honor great Shore kids in football, basketball, baseball and softball. It’s time to honor outstanding performances from the diamond. Thanks to our friends at Monmouth Building Center, we’ll have 10 top nominees every week from Shore Conference baseball and softball. Cast your votes NOW through Tuesday at 3:00 pm. We’ll pay a visit to a mid-week game or practice and make a Monmouth Building Center Game Ball presentation. 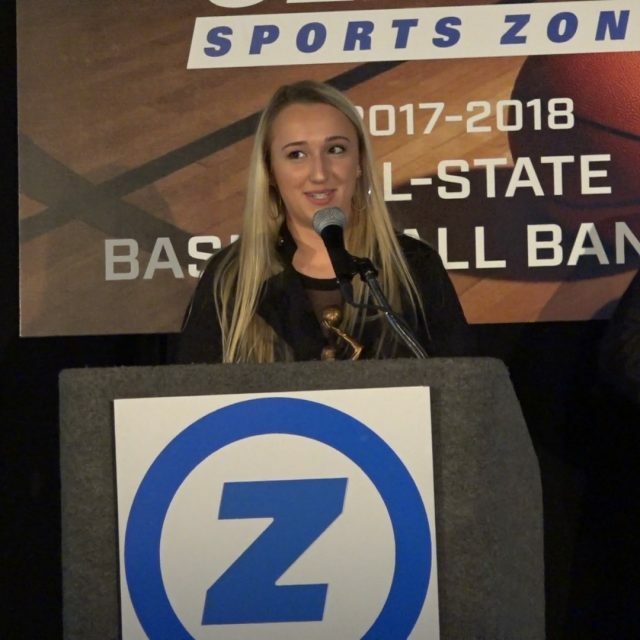 Coaches can always nominate a player – just email rich@jerseysportszone before Saturday night: Take Our Poll Take Our Poll Monmouth Building Center in Shrewsbury has been honoring Shore Conference athletes for the past four years. Thanks to the team at Monmouth Building Center for giving us the chance to honor great Shore kids in football, basketball, baseball and softball. A special thanks to everyone who voted for last week’s Monmouth Building Center Game Balls. We stopped by Point Pleasant Beach and Mater Dei Prep to honor this week’s winners! Take Our Poll Congratulations to Mater Dei Prep’s Kyle Cardaci for winning our boys Game Ball. We presented the ball to Kyle following Mater Dei Prep’s quarterfinal win over Manasquan in the Shore Conference Tournament Take Our Poll Monmouth Building Center in Shrewsbury has been honoring Shore Conference athletes for the past four years. Thanks to the team at Monmouth Building Center for giving us the chance to honor great Shore kids in football, basketball, baseball and softball. Ranney – 76 TR North- 52 The Ranney School faced off with Toms River North on the Mariner’s home court, but it was no problem for the No. 1 seed Panthers. Scottie Lewis flirted with a triple-double scoring 23 points and grabbing 8 rebounds, while dishing out 10 assists. Lewis electrified the crowd in Toms River with a jaw dropping dunk over the top of a defender in the final quarter of play. Bryan Antoine scored 19, and Ahmadu Sarnor added 15, as Ranney came away with a 76-52 win over TRN. Watch Highlights below! Jersey Sports Zone’s coverage of Toms River North is made possible by Peak Coaching for Success Christian Brothers – 52 Neptune – 45 Junior Point Guard Liam Kennedy led the way with 17 points as Christian Brothers Academy completed a 2nd half comeback over Neptune to get a 52-45 win. LaSalle bound Jared Kimbrough scored 17 for Neptune, but fouled out with just 1:45 to play in the 4th in what would be a game changing moment. The Colts advance to take on No. 1 seeded Ranney on Thursday night in Toms River for the Semi-Finals. Watch Highlights of CBA and Neptune below! Mater Dei Prep – 46 Manasquan – 43 Kyle Devaney made a key three-pointer in the final two minutes to give Mater Dei Prep a four point cushion and the Seraphs were able to hold off a scrappy Manasquan squad and reach the SCT semifinals. 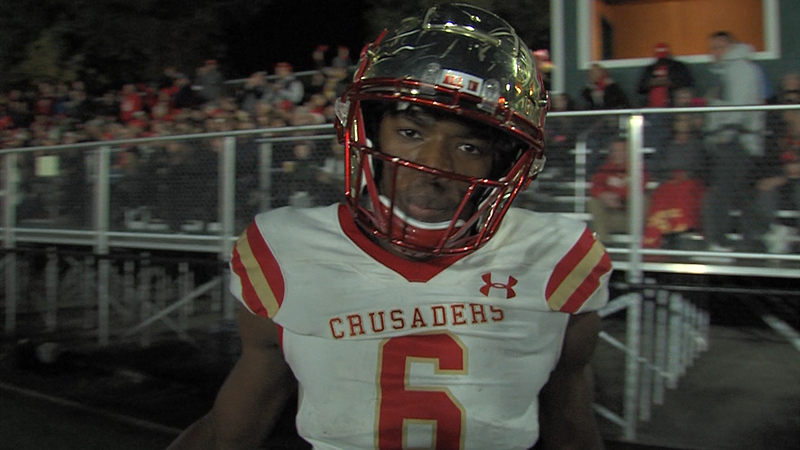 Mater Dei was without starters Kenny Jones (flu) and Adam Afifi (shoulder). Jamir Watkins led the way with 17 points and 8 rebounds and Alexander Rice added 10 points. Ryan Flanagan paced Manasquan with 14. Watch the highlights of a physical battle between two great teams in Toms River: Jersey Sports Zone’s coverage of Mater Dei Prep is made possible thanks to our friends at Gold Coast Cadillac Rumson-Fair Haven – 67 Point Beach – 47 Jack Solano led a balanced scoring attack with 15 points as RFH pulled away in the second half to a 20 point win over #11 seed Point Pleasant Beach. 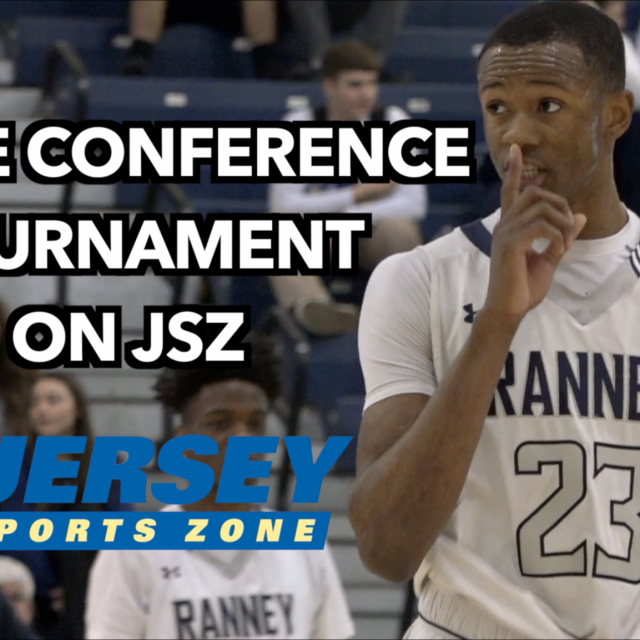 JSZ has the highlights from the final game of the SCT Quarterfinals in Toms River: Jersey Sports Zone’s coverage of Rumson-Fair Haven is made possible thanks to ServPro of Eatontown/Long Branch Welcome to Jersey Sports Zone! After three years on the Jersey Shore, we’ve expanded our coverage to every part of the Garden State. We are excited to bring you high definition highlights and features of high school sports all year long. We have reached the final round of voting for basketball and Monmouth Building Center Game Balls. Cast your vote now through Tuesday at 3:00 pm. We will pay a visit to mid-week practice and honor this week’s winners! Thanks to all the great fans of the Shore Conference for voting each and every week! Take Our Poll Take Our Poll Monmouth Building Center in Shrewsbury has been honoring Shore Conference athletes for the past four years. Thanks to the team at Monmouth Building Center for giving us the chance to honor great Shore kids in football, basketball, baseball and softball. Vote for Monmouth Building Center Game Balls! Each week during basketball season, we’ll have 10 nominees for boys and girls basketball top performers from around the Shore Conference. Cast your votes through Tuesday at 3:00 pm. The winners will get a visit from JSZ cameras with a Game Ball presentation. 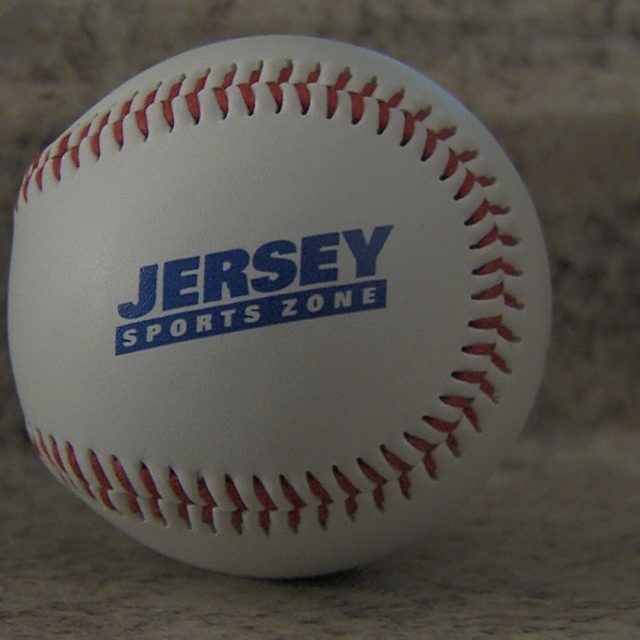 Coaches and fans if you have a Game Ball nominee, just email rich@jerseysportszone.com Take Our Poll Take Our Poll Last Week’s Monmouth Building Center Game Ball Winners Congratulations to Brick Township’s Dan Meyers and Holmdel’s Christina Antonakakis. Thanks to everyone who voted! Monmouth Building Center in Shrewsbury has been honoring Shore Conference athletes for the past four years. Thanks to the team at Monmouth Building Center for giving us the chance to honor great Shore kids in football, basketball, baseball and softball. Watch 1.20 High School Hoops Highlights! Two 1000 point scorers won this week’s Monmouth Building Center Game Balls for top performances in the Shore Conference. 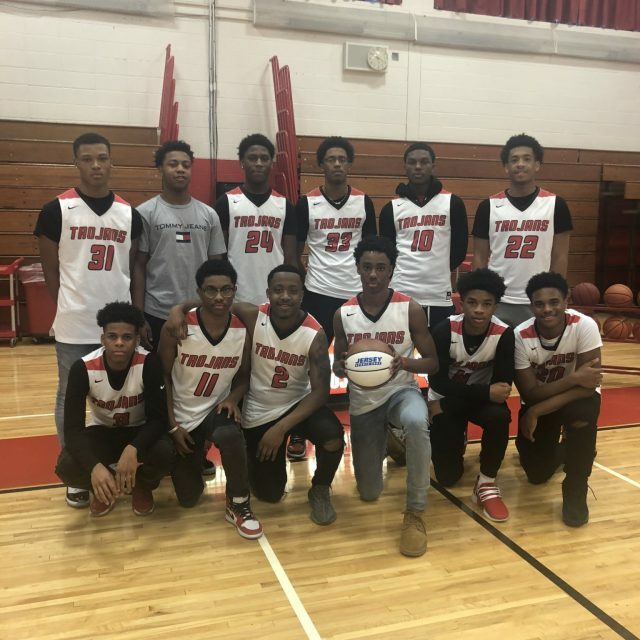 JSZ paid a visit to Barnegat and Point Pleasant Beach: Take Our Poll Congratulations to Point Pleasant Beach guard Danny Frauenheim for reaching 1000 career points and winning last week’s poll Take Our Poll Monmouth Building Center in Shrewsbury has been honoring Shore Conference athletes for the past four years. Thanks to the team at Monmouth Building Center for giving us the chance to honor great Shore kids in football, basketball, baseball and softball. Vote for final JSZ Game Ball of 2017 Football Season! Vote now for iPlay America Hoops Game of the Week! Vote now for this week’s SSZ Game Puck! Vote now for SSZ Week Seven Game Balls! Vote now for Week Six SSZ Game Balls! SSZ 43 team preview tour complete!